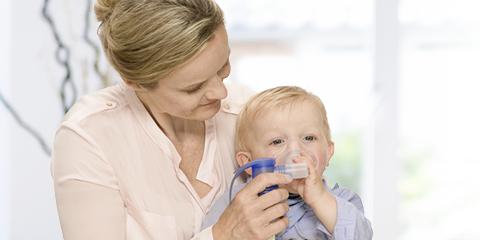 We offer isotonic and hypertonic saline solutions that you can use for inhalation. Our saline solutions for inhalation devices are available with 0.9%, up to 3% or 6% salt content – depending on the desired effect. Chamomile, cough syrups and essential oils are not suitable for inhalation with a nebuliser. The different inhalation solutions have different salt levels. Would you like to protect yourself from a cold or do you already have a cold? 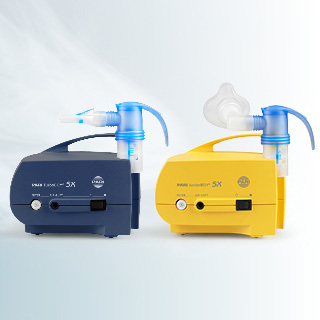 Then you should choose the PARI NaCl inhalation solution with a 0.9 percent salt content for inhalation with a nebuliser. 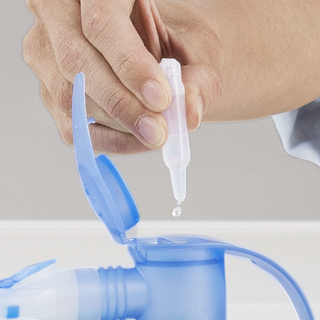 This isotonic saline solution moistens the airways and helps your mucous membranes to get rid of viruses and bacteria. Isotonic or physiological means that the solution has the same salt content as our bodily fluids and is therefore well tolerated rather than additionally irritating the affected airways. Hypertonic saline solutions, such as MucoClear 3% and 6% from PARI, are defined as solutions with a salt content of 1% or more. These inhalation solutions containing more salt than bodily fluids liquefy the mucus in the sinuses or the lungs. This makes it easier to transport mucus out of the airways and relieves unpleasant symptoms, especially in cases of severe respiratory diseases. What things should I not use for inhalation therapy? On the other hand, cough syrups, gargle solutions, liniment preparations or drops used as a rub or as a “steam bath” with hot water, are totally unsuited for use in an inhalation device. You should also be careful with oils from medicinal plants, whose side effects can pose a risk to your health. 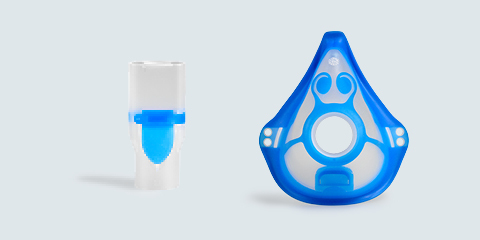 These products are also often thick and sticky and block the nozzles of the nebuliser that is part of your inhalation device. Essential oils can trigger respiratory distress in people with a hypersensitive bronchial system, especially when the bronchial tubes constrict too much. The inhalation of water or distilled water should be viewed critically. Or simply inhale with chamomile over a cooking pot? Chamomile is found in almost every household as teabags, as chamomile concentrate or even in the form of dried flowers. Chamomile is known to have anti-inflammatory and disinfectant properties. The tried-and-tested home remedy is often recommended for rhinitis, colds, sinusitis or even headaches and is inhaled over a cooking pot or with your head over a hot bowl of hot water. However, there is the risk of scalding yourself if using a cooking pot. It can irritate the eyes, especially those of children. Apart from this, the supposedly soothing steam does not reach the sinuses. You should also never put chamomile into an inhalation device.